Today comes the first installment in a series of blog posts about one of my favorite spots on the web, ESPN.com. Full disclosure: I’m doing these posts as assignments for an online journalism class I’m taking at the University of Maryland. But you don’t have to twist my arm too much to get me to write about the mother of all sports sites (sorry Yahoo! and SI.com, ESPN’s motto “The Worldwide Leader in Sports” is more than a marketing slogan, it’s the truth). You can’t talk about ESPN.com without first mentioning ESPN, the Bristol, Conn.,-based behemoth that launched in 1979. The company was the subject of a recent book, is often parodied for its multitude of cable stations and is often the target of criticism. ESPN began as a cable station that reported primarily about local Connecticut sports. It grew to cover sports nationally and is perhaps best known for SportsCenter, often called “The Big Show,” which mixes highlights with an increasing amount of opining by sportscasters and former athletes/coaches turned pundits. The success of ESPN led to ESPN2…and ESPN News….ESPNU…and ESPN3….and ESPN The Magazine…and ESPN Zone…you get the point. The company now sponsors an event in which adults come to Disney World to schmooze with athletes and ESPN personalities. That pretty much sums up how popular ESPN has become. According to ESPN, the company has 3,900 employees (6,500 worldwide). ABC, a subsidiary of The Walt Disney Co., owns 80 percent of ESPN. The Hearst Corp. owns the rest. But enough about the company as a whole. Let’s get down to business. 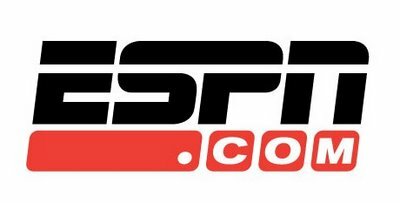 ESPN.com (then known as ESPNET SportsZone) launched on April 1, 1995. It was among the first online sites to deal exclusively with sports. ESPN, as it has done across the board, has recently expanded its online presence significantly, including ESPNDeportes.com, ESPNSoccernet.com and five ESPN Local sites in major cities such as Los Angeles, Chicago and Dallas. Most recently, in 2011, ESPN helped launch Grantland.com, a site that specializes in long-form journalism and personal essays from established journalists. ESPN’s audience is sports fans across the world. Judging from its major advertisers, BMW and Guinness, the site is trying to reach affluent users, not to mention those who like to talk sports at their local bar. ESPN.com’s blend of sports and pop culture has attracted millions of readers, viewers and listeners. ESPN.com’s mission is to be the hub of everything sports, and it comes through in the site’s varied coverage of games, breaking news and sports issues. ESPN.com strives to highlight its most recognizable personalities (Bill Simmons, Stephen A. Smith, Mike Wilbon) through columns and videos on its site. While the site has not greatly changed direction in content, it does increasingly feature commentary, video and audio. The company’s business plan is to reach audiences on as many platforms and devices as possible (TV, radio, print, online, mobile, etc). In this regard, ESPN is a model of convergence journalism. Check back for future posts about ESPN.com’s content, use of multimedia and navigation. That’s all for now.